The arrival of Xbox 720 and PS4 is just around the corner (probably in late 2013, however not officially confirmed, but as rumored by many gaming sites and others). Graphics and Visuals are two important aspect of gaming world, and it is expected that these departments will see a massive makeover and significant improvements with next generation games for Xbox 720 and PS4. But there's one bitter truth that consoles gamers are currently living with i.e "PC gaming is way way ahead of console gaming". This saying is indeed a Universal Truth because there are plenty of PC games that already look like next generation games. So we have listed below Six PC Games That Gave Glimpse of Next Generation Graphics. Check out the list, and let us know in the comment section below, Do you agree with the list or not?. Also let us know any other PC games you want us to add in the list below (along with a valid reason). 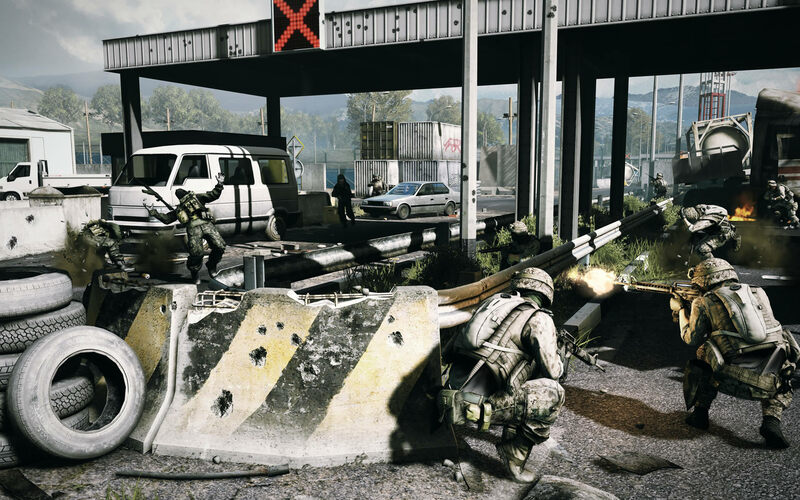 DICE's Battlefield 3 tasted a massive success, however due to low frame rate issues on consoles, the game doesn't do a true visual and graphics justice. But on a perfect and high end gaming PC, Battlefield 3 is BEAST to watch out for with smooth and perfect animations, detailed environments and never felt before gameplay experience. The original game in The Witcher franchise was not that impressive, but CD Projekt RED came back strong with a spectacular and astonishing looking The Witcher 2: Assasssin's of Kings. It was one of the best RPGs of 2011, and one of the top most features of the game was graphics and over visuals. You the watch out the intro sequence of The Witcher 2 below, it just looks astonishing. Batman: Arkham City from Rocksteady was powered by Unreal Engine, and was one of the first major game to support DX11 and full tessellation support. The console port of Batman: Arkham City was locked at 30 FPS, but PC port was free of these restriction, as a result on a decent PC gaming machine Arkham City is a visual treat. The trend of innovation continues with Far Cry series. When the original game in the franchise was released, it was one of the best looking game ever on PC, and now the latest installment Far Cry 3 is sight to behold. To experience the visual and graphics power of Far Cry 3, just adjust game's setting to MAX (on a decent gaming PC). Now this one is something special because here we have listed an entire series, yes and it's none other than Crysis franchise. This one series re-defined the term a perfect gaming hardware, and as Crysis 3 release is just around the corner expect a brand new definition of perfect PC gaming hardware once more. The beauty of Elder Scrolls V: Skyrim doesn't come straight away from Bethesda, its community mods which gives a perfect finishing touch to this awesome game. High resolution texture mod, graphical filters, animations and more make Skyrim one of the best looking games ever, and as mention above all thanks to dedicated Skyrim modding community.